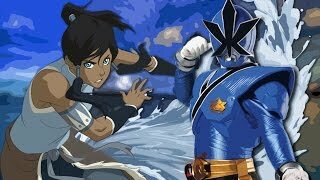 How is it anime can be made better by Power Rangers? I love these! -Not technically 'anime', as both TLA and LOK were produced in 'Merica. -As a Power Rangers enthusaiast, I prefer to think that Samurai never happened. Ever. But really, that was awesome. idunno...like I always thought the "anime can only be japanese" argument to be...pedantic? or at the very least useless discourse. 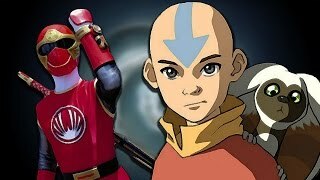 IMO atla and lok use the same style as anime from Japan so I've always considered them anime. I mean I think anime just means animation anyways so basically anything animated can be anime. but like...at least they draw it in the same style. I think the meaning of the word varies depending on where it's being said. From a Western perspective, I'd say that Anime means any animation that comes from Japan. So, yes, technically animated series such as Legend of Korra don't count as anime in that context, even though the art and character designs are obviously influenced by the popular anime style. At least that's what I think, and whenever I refer to Anime, that's what I mean. However, if I'm not mistaken, the word Anime in Japan means any animation at all. So from that point of view, even Disney films could be classed as anime. Don't quote me on that, however, as I'm not sure how true it is. yeah that's what I thought too, that "anime" in Japan just means "animation"
but yeah... like I know that the common consensus everywhere else is "not japanese, not anime" but I just never really liked that idea because imo the Japanese sort fucked up and let anime stagnate into a huge parody of itself and I just think that new ideas and fresh influence is what anime really needs right now. but I guess that's probably a chat for a different topic.